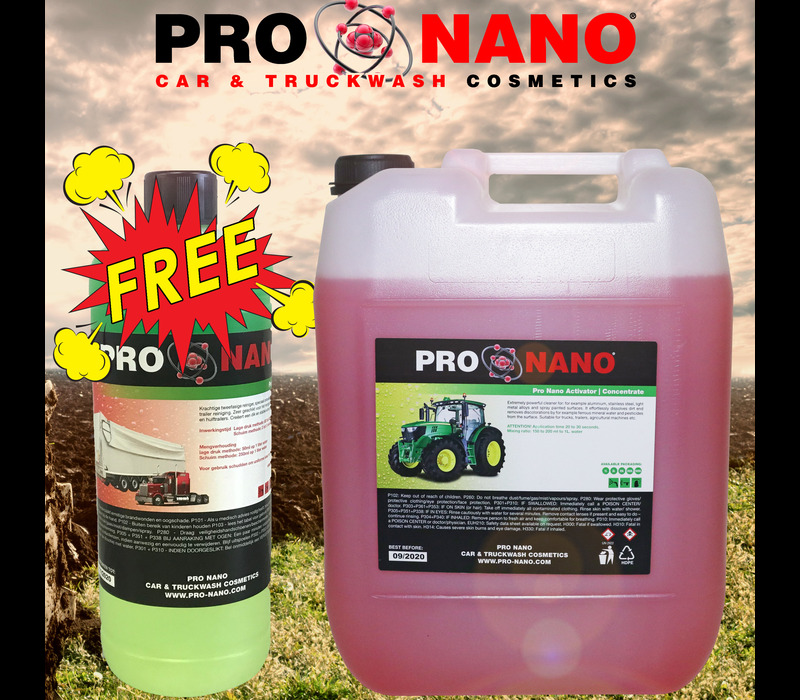 Extremely powerful cleaner for aluminum, stainless steel, light metals and painted surfaces of agricultural vehicle, machinery equipment, etc. 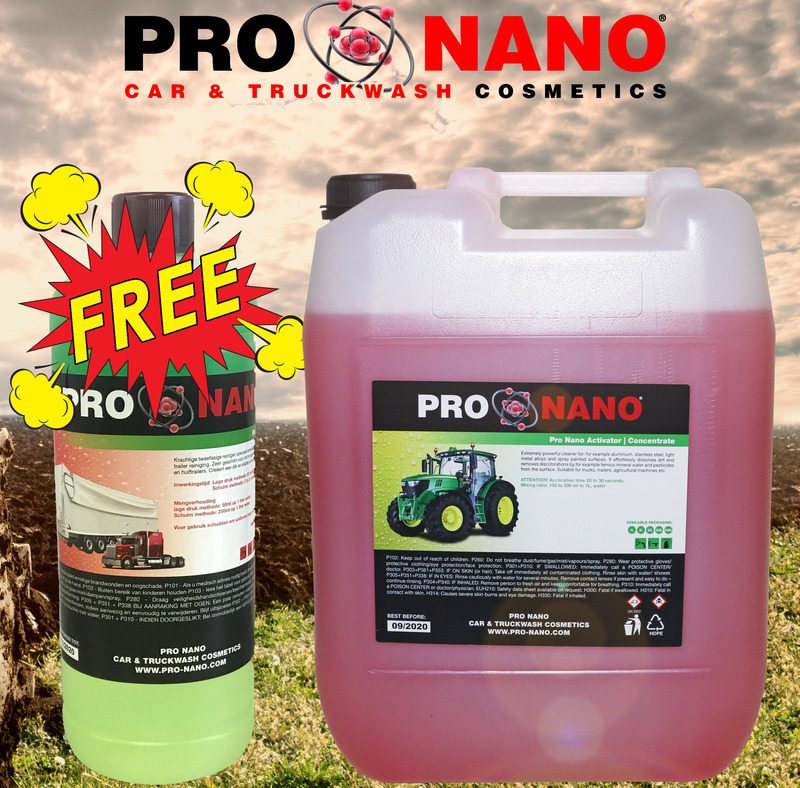 It’s stronger product than Activator Car & Truck because was developed for farmers’ equipment due to constant contact with dirt, mud, ferrous water, etc. It easily dissolves dirt and removes all kind of impurities from aluminum rims, including sediment from brake pads, stains caused by hard water and also removes rust. The product quickly gets into a chemical reaction, thanks to which all impurities, even permanent dirt, are completely removed and the surface looks like new. Powerful two-phase cleaner, specially developed for very dirty vehicles. Suitable to clean polyester, slide & tilt trailers, motors, chassis, construction equipment, iron/ ground water for agricultural equipment / machinery, etc. It is based on Nano Technology and it has anti-corrosive properties.